Jordan Ash starts a fastbreak. The Illinois announced his intention to transfer Monday. Senior guard Jordan Ash announced that he will transfer from Northwestern, in a post on Twitter. 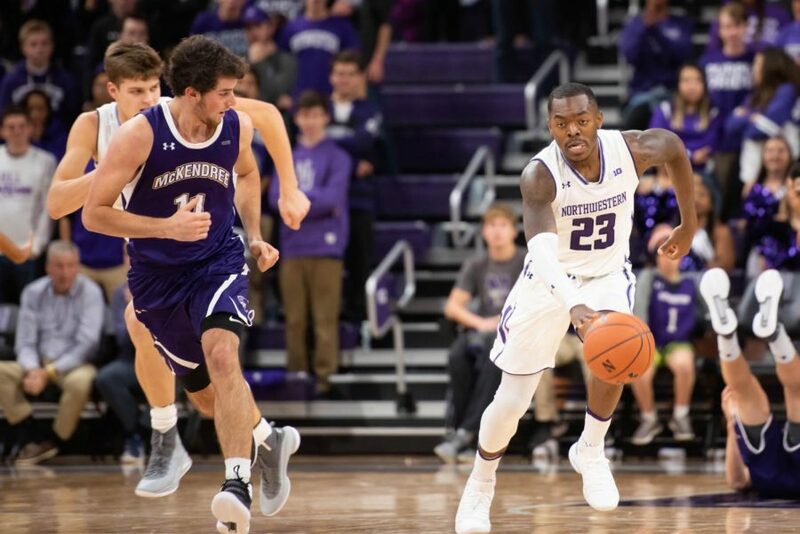 After being the backup to Bryant McIntosh during his first three seasons at Northwestern, Ash was primed to take the reins as starting point guard this season, and was even named a team captain. But injuries altered his potential impact this season. Ash suffered a knee injury as a junior and was ruled out for the year, eventually having knee surgery during the offseason that put his ability to play this season in question. Ash played in 10 games before being sidelined with a leg injury that kept him off the court for the rest of the season. For his career, Ash played in 90 games and averaged 1.2 points per game, with his career high in scoring coming last season at 2.1 points per game. He is applying for a medical hardship waiver in order to obtain a fifth year of eligibility, and it appears he is likely to received one. Ash was ranked a three-star recruit by 24/7 Sports out of St. Joseph High School in Chicago. The Bolingbrook, Ill. native committed to the Wildcats in March of 2014 and signed his letter of intent in November. In his freshman season, he played in 28 games, and posted a 41 percent field goal percentage, the highest of his career. As a junior, Ash saw his minutes increase to 12.7 per game after having 3.8 the season before. Ash is now the second player from his recruiting class in the past week to transfer from Evanston. Earlier this week, Aaron Falzon announced he would play out his final year of eligibility at another school.